Because ol' school is the best school! We approach the insurance business in a unique way, We do not sell insurance! We do have the best insurance available to our clients but only as one tool among many to help protect our clients. We concentrate on loss control to help organizations avoid the bad experience that leads to insurance claims. Insurance is only tool to help solve problems that cannot be solved in other ways and the problem with insurance is that something bad must happen before you can use it. We want to help you not experience that disruption and avoid the bad experience that results. This is actually the old school approach, but we think it's the best school and we are alumni! If you need to file a claim, we will make sure that our clients get the best possible service available! We're not the agent down the street! We know our business - We've been this industry with a combined family of experience of 100+ years! We've seen down turns and up turns in the industry, we've worked with vast classes of business and have enjoyed our real relationships with some of the best clients on the planet! We travel to you - Not the other way around! We have some creative expertise - As well as unique relationships with some of the best companies in the industry. We can find and negotiate coverage where others have failed. We are relationship oriented - We're what you call "Old School". We prefer having close relationships with our clients. As the adage goes "You wouldn't partner with someone you can't go to lunch with". We care about each of our clients individually. If you want someone who is as interested in the success of your business as you are.....we're going to get along just fine! Coverages designed to meet your specific coverage needs. Coverage provided by industry leading insurance companies. Adjusters that are trained to handle claims promptly to minimize their impact on your business. Claim adjusters that are exceptional in responding to claimants in a way that properly represents your business. Our agency is actively involved in the claim process to make sure you are taken care of promptly and fairly. Our agency team is responsive to your service needs in a very timely manner. Certificate requests, and coverage changes, are handled as a top priority. Our assistance in Loss Prevention allows you to handle risk in your timeframe rather than responding to crisis in their time-frame. Loss prevention saves you money because of deductibles and other related claim expenses. A formal safety program creates an overall climate of excellence that permeates all areas of your business. A walk through inventory of your facility. This can be very valuable at the time of a loss to help document the items lost and facilitate in a fast and fair claim settlement. A survey of your facility and business activities for risk exposure evaluations and risk reduction recommendations. You will have access to numerous resources to help you establish and implement safeguards for your business. 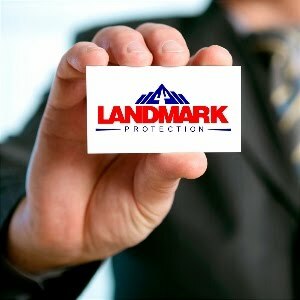 We can assist you in establishing safeguards to protect your business from loss.